The military-led coup that ended Omar Hassan al-Bashir’s 30-year presidency on April 11 marks the beginning of a new chapter in the book on Sudan’s modern history. Although how events will unfold in Khartoum in the weeks and months ahead is nearly impossible to predict, it is inevitable that other governments in the Middle East and North Africa (MENA), which have concerns about Sudan’s fragile political transition, will interfere to advance their national interests. The security of Sudan, an important ally of Gulf states, will impact the entire Red Sea and Horn of Africa region, giving Saudi Arabia and the United Arab Emirates (UAE) high stakes in the outcome of developments in Khartoum. Officials in Riyadh and Abu Dhabi are hoping to assert their influence in post-Bashir Sudan to bring Khartoum closer to their geopolitical orbits of influence, and farther away from Turkey and Qatar—two countries that Sudan has grown close to in recent years. Within this context, the Saudi and Emirati leadership will attempt to control, or at least heavily influence, Sudan’s future landscape to ensure that elements on ‘friendly’ terms with Riyadh and Abu Dhabi take the helm. 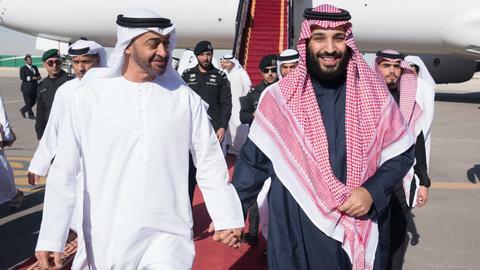 Saudi Arabia and the UAE this week said they 'stand' by the Sudanese people and professed their support for transitional council formed by the military. Saudi Arabia, the UAE, Bahrain, and Egypt constitute a bloc of counter-revolutionary Arab states that are consistently averse to grassroots movements and revolutions driven from the bottom-up. Officials in Riyadh, Abu Dhabi, and Cairo have all been nervous about the situation in Sudan ever since anti-regime protests broke out in December. These governments have interests in preserving a status quo authoritarian order in Khartoum that crushes any democratic movement. The leadership in these three Arab capitals fear that such uprisings in Sudan—as well as in Algeria and other Arab countries—could bring the Arab Spring back to life and jolt the region much like the revolutions of 2011 did. With Sudanese citizens taking to the streets beginning in December to protest food prices, poor governance, a lack of economic mobility, unemployment, cash shortages, and corruption, most monarchs in the Gulf naturally worry about such winds of political activism. Change blowing across borders and triggering anti-government demonstrations in the Gulf Cooperation Council (GCC) member-states, Egypt, and other countries in the region is a real threat to these rulers. Against the backdrop of perpetually low oil prices placing further stress on social contracts between rulers and the ruled in Arabian Peninsula monarchies, the leadership in Riyadh and Abu Dhabi see it in their interests to counter democratic growth in the Arab world while lending support to autocratic governments. Much of this is about the implications of change in other parts of the Arab/Muslim world impacting Saudi Arabia and the Emirates. "Large numbers of Saudi citizens are expressing discontent against the government and seeking asylum in the West in unprecedented numbers,” suggesting that discontent expressed in Sudan could lend inspiration to Saudi citizens in the Kingdom—a nightmare scenario for the Al Saud rulers. Within this context, it was difficult for many observers to see the support which Saudi Arabia and the UAE expressed for Sudan’s junta earlier this month without thinking of Riyadh and Abu Dhabi’s role in Egypt’s 2013 coup. One of the critical questions in Sudan which remains unanswered is how much power will the army concede to a civilian-led government? Also, will the pro-democracy activists and Sudan’s military leadership agree on the timing of any such transition toward civilian rule? Despite the country’s current de facto head of state providing reassuring language that is conducive to opening a healthy dialogue between the empowered military-led interim government and demonstrators pushing for a truly democratic revolution that removes Sudan’s “deep state” from power, much is yet to be seen. Some observers do not believe that the army will relinquish control to a civilian government, and they read the military leadership’s conciliatory tone toward the protestors as being truly geared toward ensuring stability and buying the army enough time to consolidate its power behind the scenes. Regardless of what moves are being made in private, there is no guarantee that Sudan’s authorities and the pro-democracy movements will reach an agreement on any political transition. Sudan’s post-Bashir period, at least in its earliest stages, could be further shaped by tensions between Bashir’s henchmen, who seek to retain their power while preserving the fundamentals of the regime that’s been governing Sudan for the past three decades, and Sudanese citizens calling for a bottom-up revolution that disempowers the “deep state”. The odds are good that both Saudi Arabia and the Emirates will also favour working with members of Sudan’s army that have a history of good relations with both Gulf states, ultimately seeing the country’s military as the only institution that can serve as a bulwark against anti-status quo elements taking power in Khartoum. One figure to keep an eye on is Salah Gosh. He was Sudan’s intelligence chief who recently resigned from his position, and who has maintained close ties with Saudi Arabia, the UAE, and Egypt over the years, also with a past as a CIA collaborator. It appears likely that people in Sudan’s regime such as Gosh will be the favoured ones by the counter-revolutionary Arab states that seek to keep Sudan’s revolution under their control. Riyadh and Abu Dhabi will seek to use their leverage over Sudan to ensure that Khartoum remains committed to the war in Yemen, where hundreds of Sudanese forces have died in the ranks of the Saudi-led coalition fighting Iran-sponsored Houthis. The odds are good that the Kingdom and the UAE will also put pressure on Khartoum to distance itself from Turkey. With Riyadh and Abu Dhabi focused on undermining Ankara’s interests throughout the Arab world, underscored by their support for the PKK's Syrian branch, the YPG, in northern Syria, officials in Turkey have concerns about the future of Suakin Island and Turkey’s military activities in that Red Sea port city in the post-Bashir era. If Sudan pivots closer to Riyadh and Abu Dhabi and can help deny Turkey access to Suakin Island, such a scenario would mark a major setback to Ankara’s agenda of projecting greater Turkish influence throughout the Red Sea, Africa, and the greater Muslim world. Given how much the growth of Sudanese-Turkish relations has irked the leadership in Abu Dhabi, the Emiratis may try to play their cards to pressure Sudan into coming closer to the Saudi/UAE-led bloc and placing some distance between Khartoum and the Turkey-Qatar alliance. 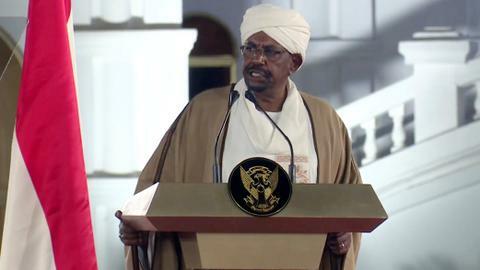 But will the Saudis and Emiratis overplay their hand in Sudan? Undoubtedly, there is a real risk of blowback. If a growing number of Sudanese citizens share a perception of Gulf states pursuing counter-revolutionary agendas in Sudan, more voices across the country could begin blaming such foreign governments for dimming their hopes for achieving democratic change. 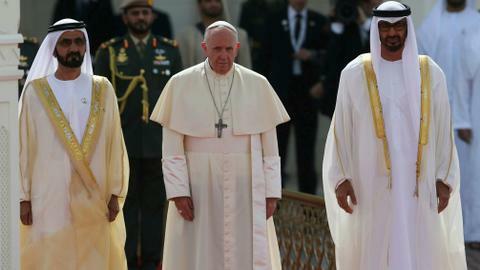 Such anger turned against Sudan’s Arab allies in the Gulf could possibly offer Turkey and Qatar an invaluable opportunity to gain greater soft-power influence in Sudan if such moves backfire against Saudi Arabia and the Emirates.